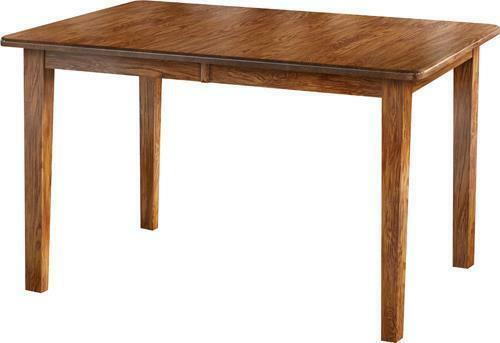 ﻿ 36" x 48" Oak Economy Rectangular Leg Table in Oak with Two 12"
The Amish Economy Leg Table shows off shaker style. Shaker style furniture is built to be attractive and functional with a durability that will astound you. This wood table will be in your family for generations. Oak furniture features a highly defined grain pattern, making for gorgeous pieces of solid wood furniture. This leg table measures 36" wide by 48" long and makes for a versatile dining table that's ready for work projects, daily dinners, and fancy parties. For the beauty of the wood, the functionality, the durability, or an heirloom you can pass on, Amish furniture is more than just furniture. Contact us today to customize your new furniture that will become part of the memories. Thank you for shopping DutchCrafters.